Straight stitch ONLY foot (no zig/zag stitches, just like your regular 1/4″ foot). 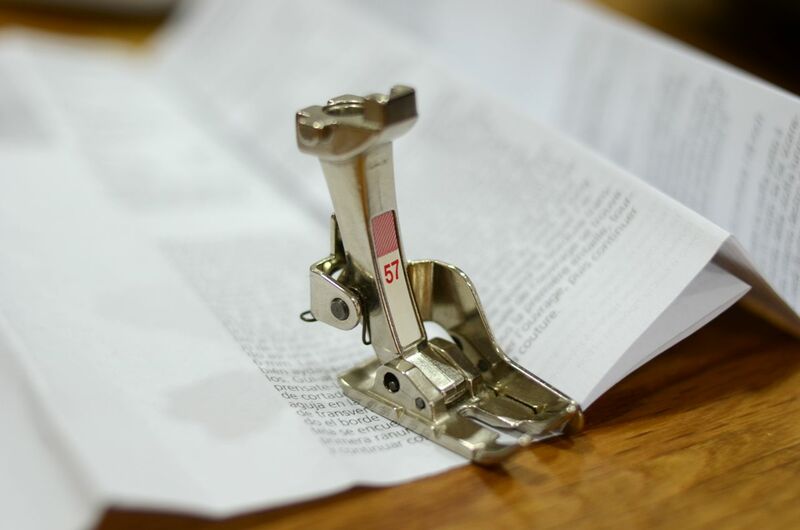 This foot is like a 1/4″ foot, but comes with an integrated fabric guide. 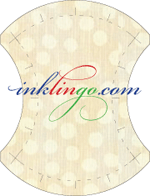 The fabric/seam guide helps to ensure that your 1/4″ seam allowance is accurate, especially for sewing long strips like sewing jelly rolls and projects like colourwash or bargello quilts. I love this footer for power sewing those long strips together as I can chomp through them confidently. 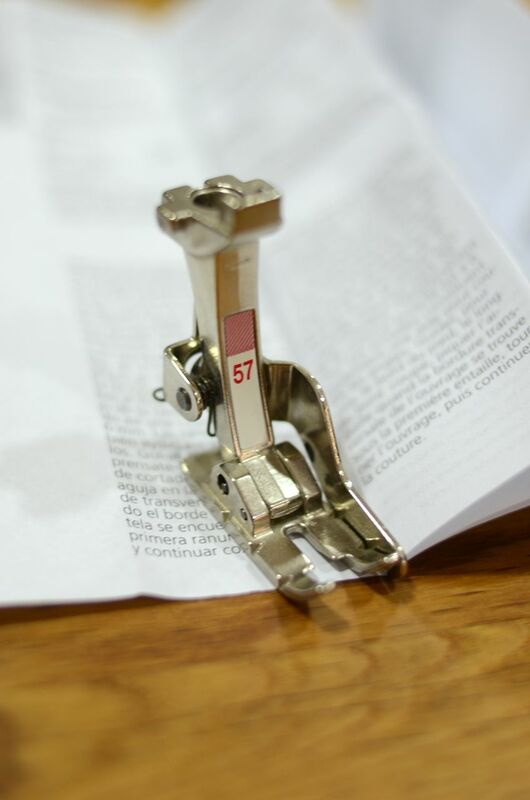 Just like the regular 1/4″ foot, it has markings 1/4″ in front and behind the centre position so that you can pivot, start and end your sewing accurately. 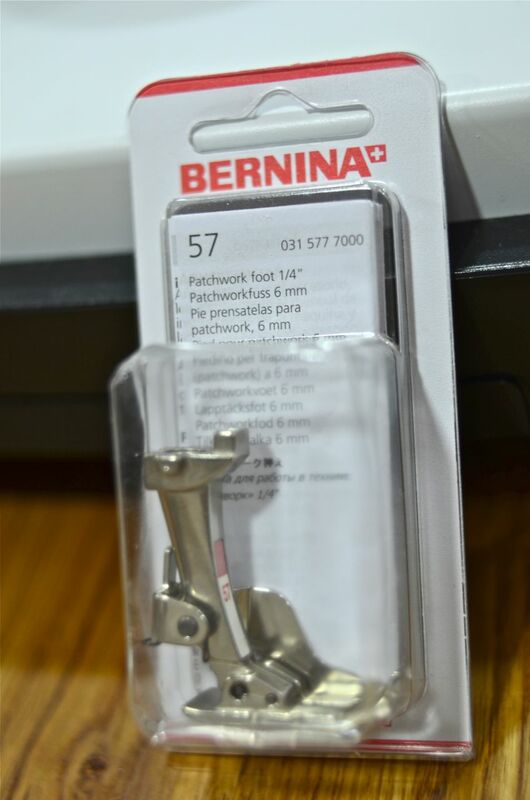 This is a very lightly used footer and not compatible with my current Bernina. It is almost brand new. It comes with the original packaging, with the instructions sheet as well. I have used it less than 10 times! I just noticed a little mark on 1 side of the foot. I could have struck it when my needle was in the wrong position. But otherwise, this footer is in great condition. All Bernina models with 5.5mm stitch width. Not to be used with models which have a stitch width of 9mm. SGD$30 + SGD$2.50 (local registered post). Local buyers can pay via local bank transfer or cash upon collection. USD$26 + International shipping (please contact me for shipping fees). International buyers can pay safely via PayPal. A couple of weeks ago, I had a few quick finishes. I remember being really happy, working on these projects. Because I got bust some Japanese fabrics that I was in danger of hoarding and also trying my 1st bias binding, and my virgin attempt at crafting with the baby strap hardware. Stroller-sized blankie made with 100% cotton and backed with flannel. I remember spending quite a bit of $ on ugly binky straps and general straps to tether items near Benji when he was little. So, I whipped up a couple of straps for Baby L that not only function as binky straps, but also as the tether strap for the stroller blankie. Kawaii fabric tapes (for stroller blankie and binky straps) from Moopie Fabrics.